Usually we don’t do much decorating for Christmas, but our new place feels so much more “homey” than our last apartment. Our old apartment simply didn’t put me in the holiday mood. We also were always called back to our hometown for family celebrations spanning most of the time between Christmas and New Year’s so it seemed pointless to decorate when we would never be home to enjoy it. This year I vowed to cast off my Scrooge attitude and get in the holiday spirit. The fireplace and windows in the living room, and buffet and big dining room table were all begging to be decorated for Christmas. 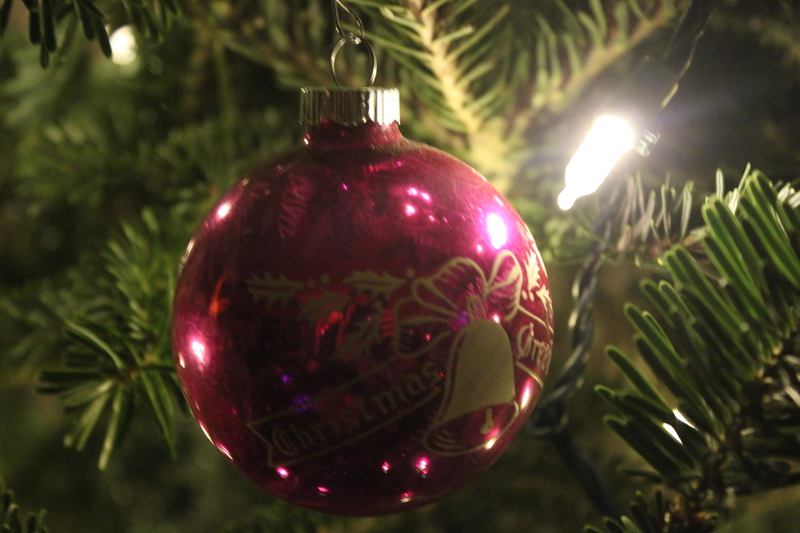 We kept it simple but had a lot of fun finding some new decorations to mix with ones given to us by grandparents. One of our favorite holiday experiences was putting up our first Christmas tree. We took a trip to a nearby park to pick out our fresh-cut tree from a local tree farm. Surprisingly, it was far easier for us to tie the tree to the top of our car than it was to find lights to decorate it. We spent Christmas Eve together in our new place, our first holiday in Minneapolis since moving here for college in 2004. Adam and I woke up early to open presents from each other and Santa, and spent the day making delicious food, playing video games and board games, watching movies, and just enjoying each other’s company. We also bought some wood to light our first fire in our fireplace. It was a wonderful day, and I’m so thankful that we were able to finally celebrate a holiday together in our own home.